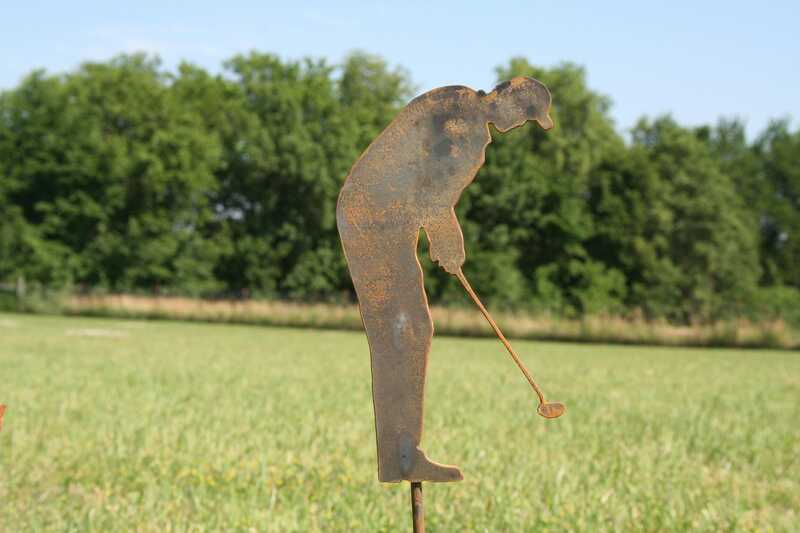 Rusted Golfer yard stake is the perfect addition to your landscape! 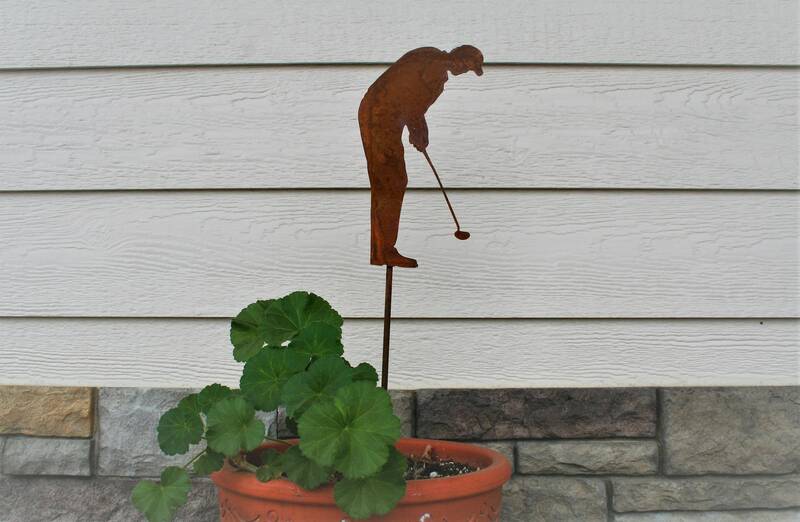 Great size to add to a flower pot! 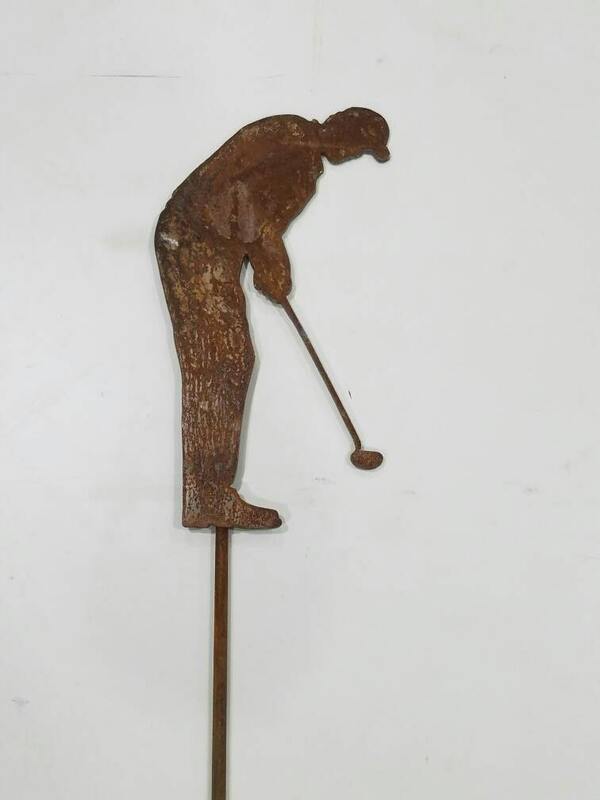 Golf putter yard stake is roughly 24" tall. 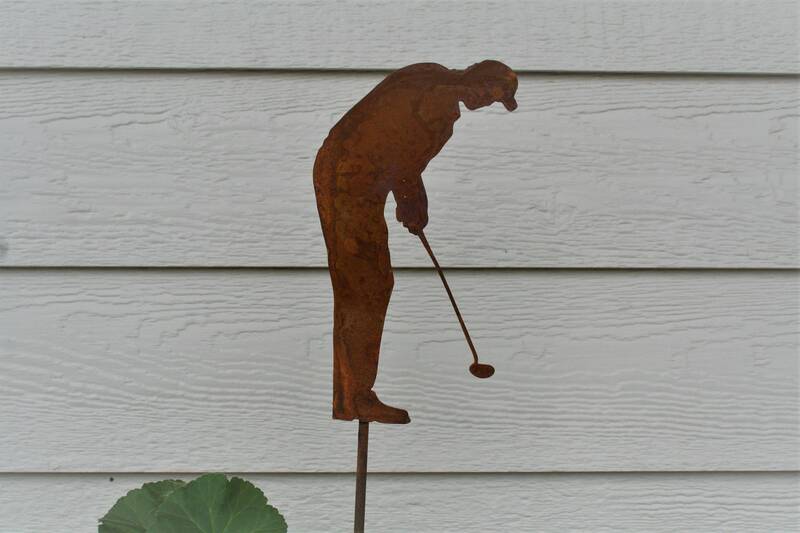 Golfer himself is cut from heavy duty steel and 9 1/2" tall. This stake is light-weight but very sturdy. 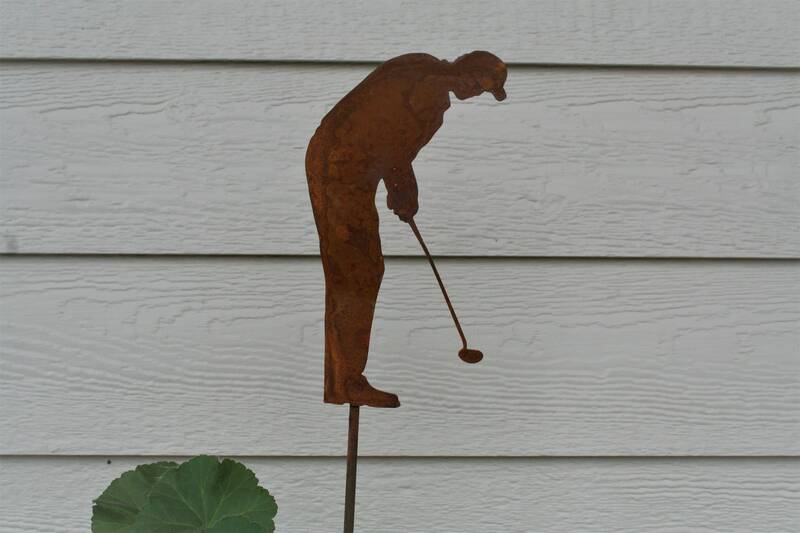 The rusted golf stake will add the perfect charm to your landscape or garden. 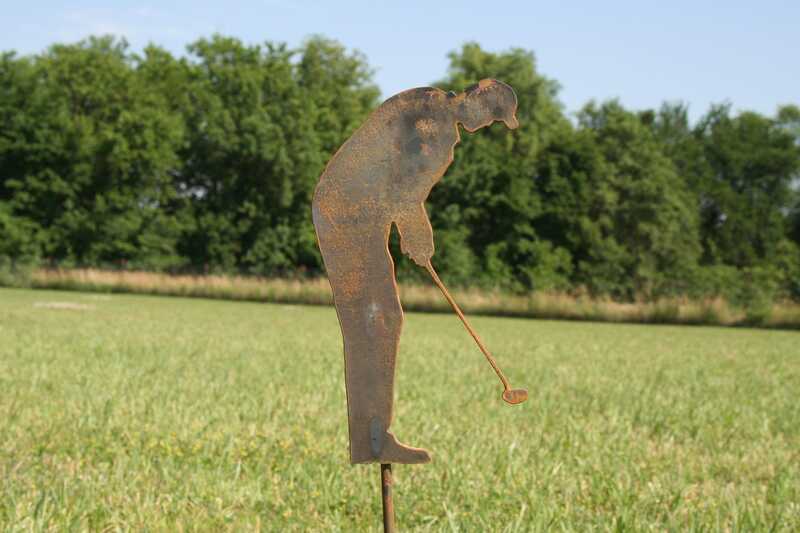 Makes a great gift for the golfer who has everything! 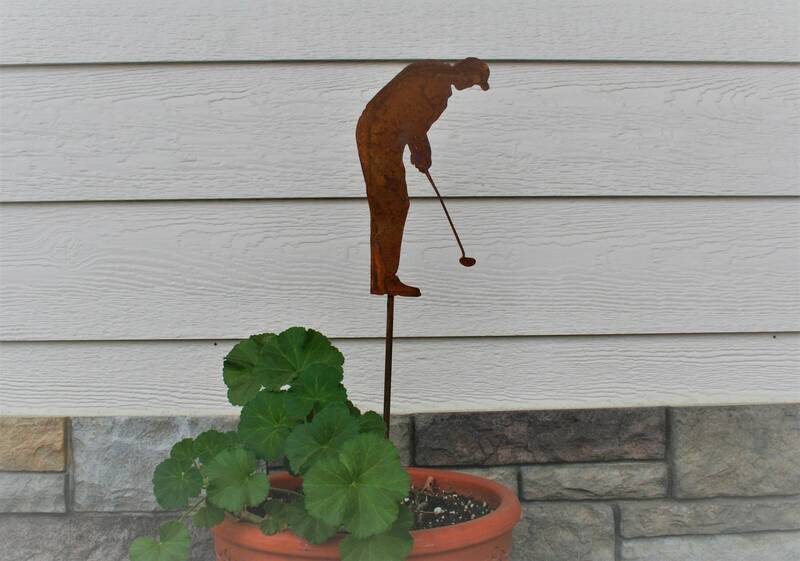 Great for golfers, fans or homes on the course. 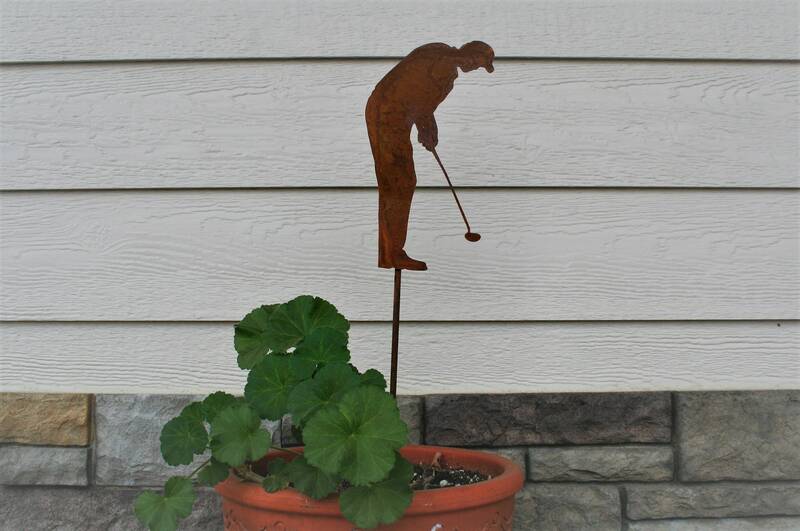 Even support your high school golfer! 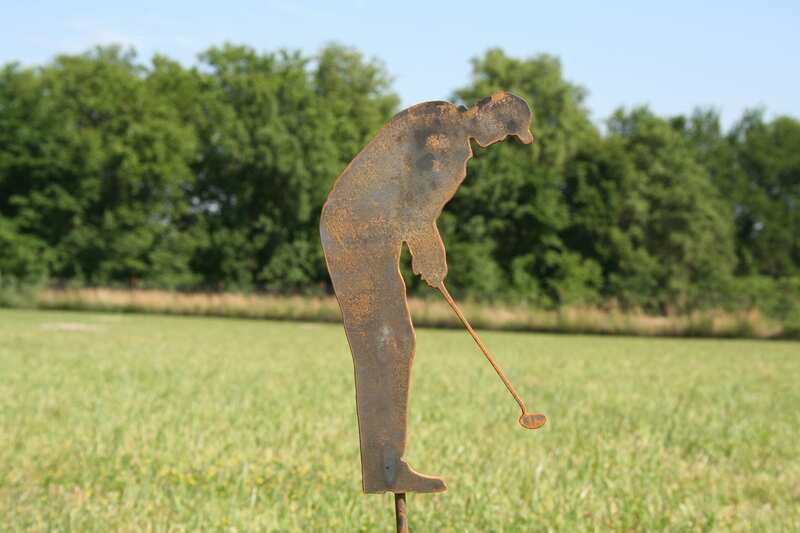 We hope you'll love this golf yard sign as much as we loved creating it! 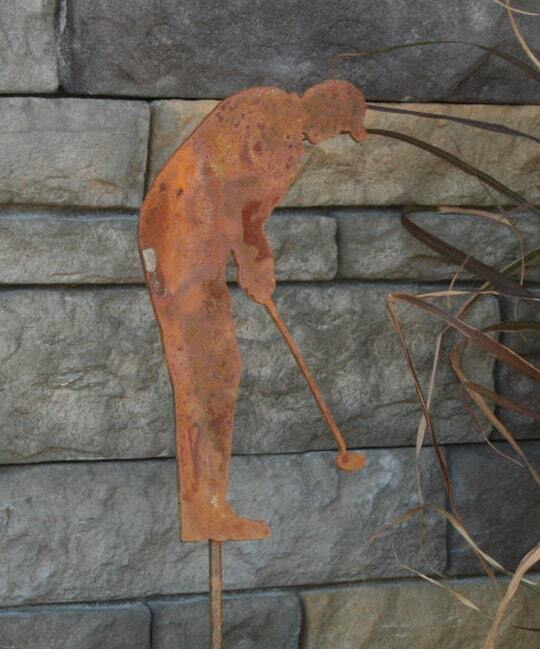 Perfect gift for a golf fan!!! Item was exactly as described, packaged carefully & shipped quickly! Very good quality! Super cute!!! Would order from from again.